Within the marketing mix there are a number of digital options that are used to draw visitors to websites and increase interest in products and ideas. You can use blog posts, articles, keywords and images but one strategy stands out – the infographic. Infographics have increasingly been appearing on websites and blogs for good reason. But what exactly is an infographic and why should you use one? 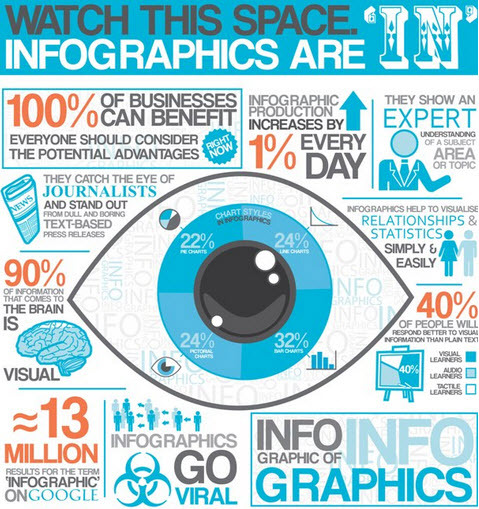 Infographics are, as the name suggests, graphics that display information. Infographics are used to present figures, data, statistics and numbers in a way that makes it easy for anyone to understand. They can illustrate such concepts as voting behavior, marketing trends, mathematical ideas, or scientific concepts. Infographics are especially useful when the concept behind them is complex or containing a lot of detailed information that would be difficult to read and understand in written form. Using an infographic cuts down the number of words you need to write, although most infographics do contain some text. The concept of the infographic is not limited to use on websites or blogs. Any technical diagram that explains a method or a concept is an infographic, for example a road sign or a technical drawing of a house. There are many reasons to use an infographic on your website. If you are trying to make a point or explain a concept that would take hundreds of words to do, then it might be better expressed in infographic format. Use a diagram where the concept is complicated, or where it would be better to present the information in an entertaining and appealing form. 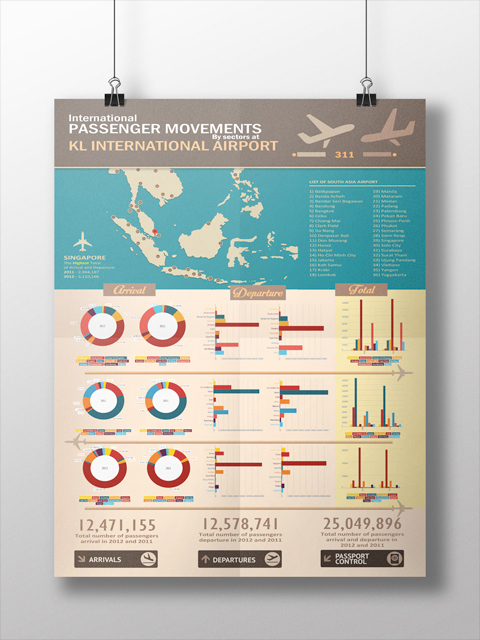 Infographics are not only useful and factually relevant but they also function as attractive images on the site. Images are great for adding interest to a page and it is even better when they also serve a factual purpose. You can also use infographics to illustrate a trending topic or a current event – explain the issue in graphics and words rather than write about it and you will stand out from the crowd. It is important to be timely when designing these types of infographics. People will only be searching for information on a trending topic for a short amount of time so it pays to be quick off the mark. This is one of the reasons companies hire infographic designers to create their graphics for them. Infographics are effective but they can be difficult to create – you need a certain flair for design and also understand how to put together an infographic so it is easy to read. Outsourcing infographic design is a good way to ensure you put out a steady supply of infographics onto your site and others’, and that the graphics are always well-designed and effectively created for your purposes.